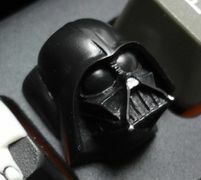 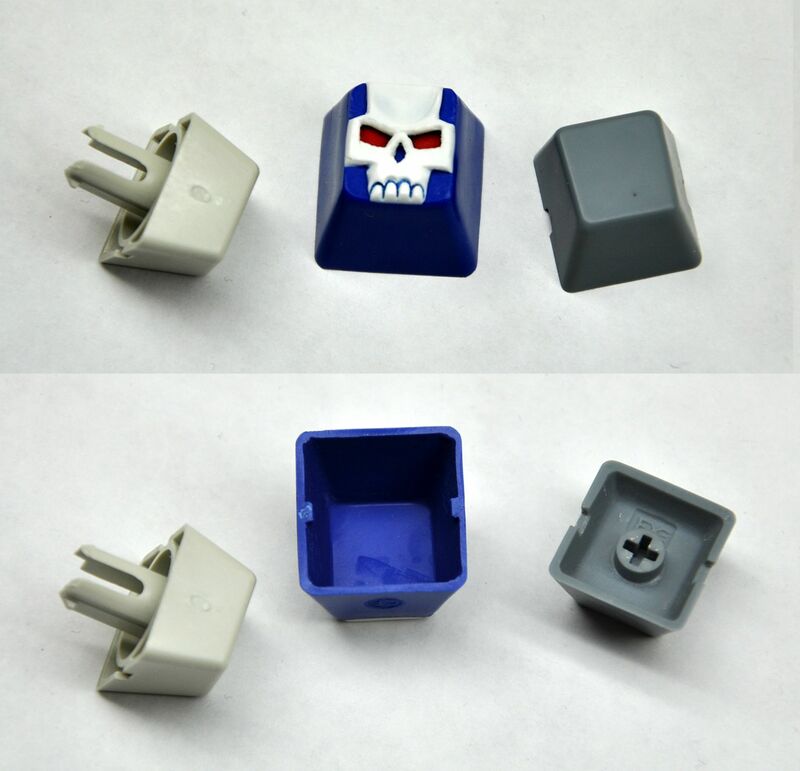 Clack Factory Keycaps (a.k.a. 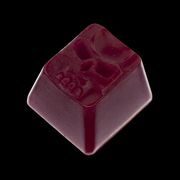 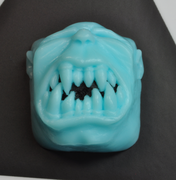 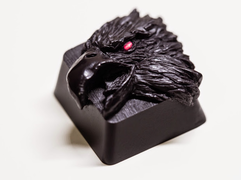 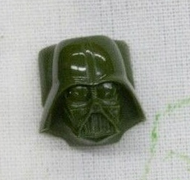 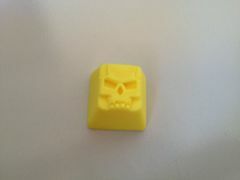 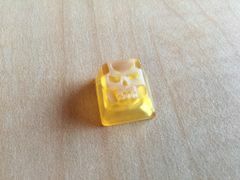 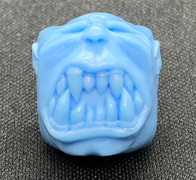 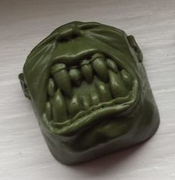 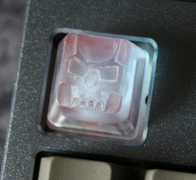 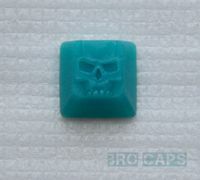 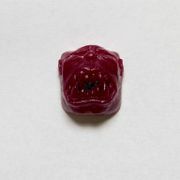 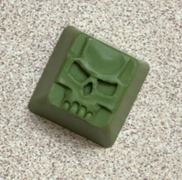 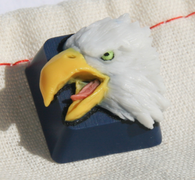 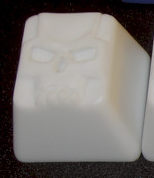 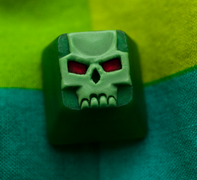 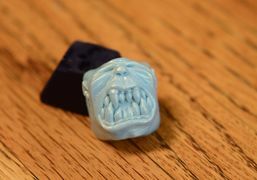 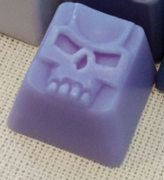 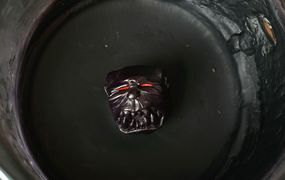 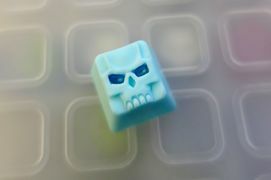 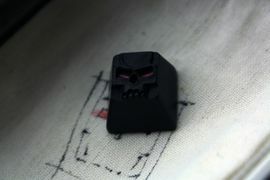 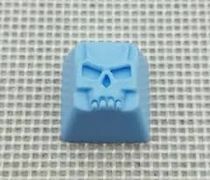 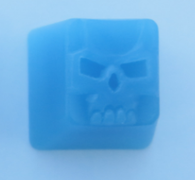 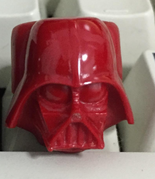 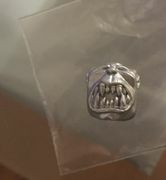 Clacks, Clarks, CC's) are highly sought after artisan keycaps. 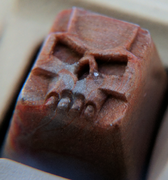 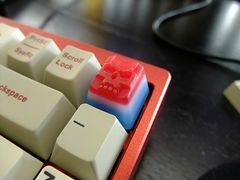 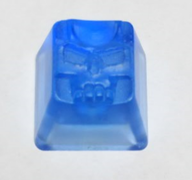 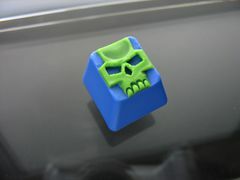 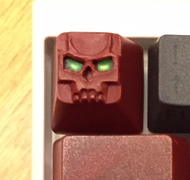 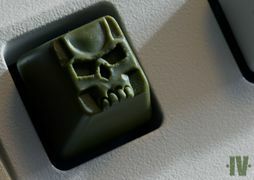 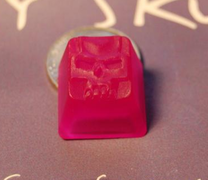 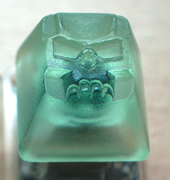 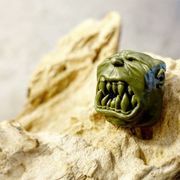 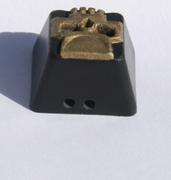 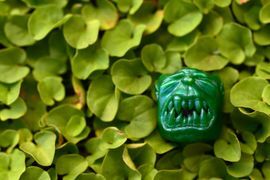 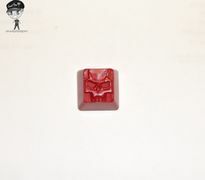 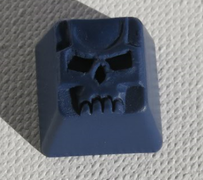 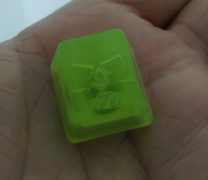 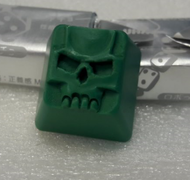 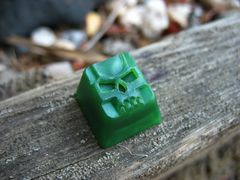 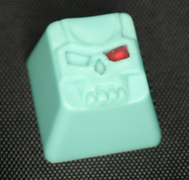 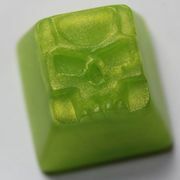 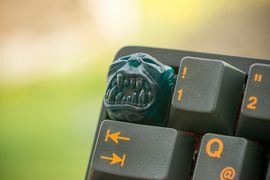 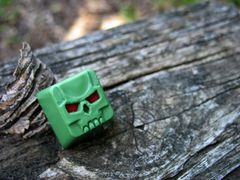 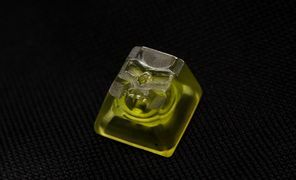 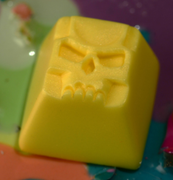 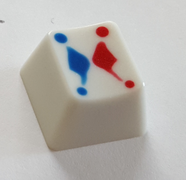 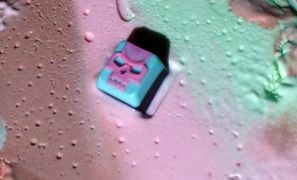 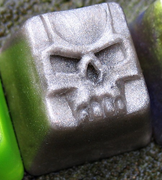 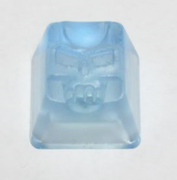 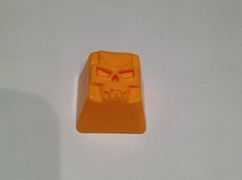 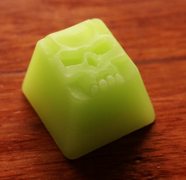 Hand-carved by ClickClack and his Gnomes, each keycap is a specific and unique color. 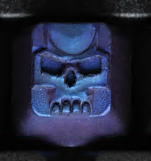 Typical variants include Skulls, Ogres, 420s, Splats, Birds, Vaders, WASD Clusters, and Arrow Clusters. 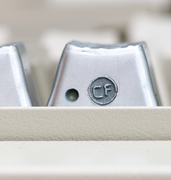 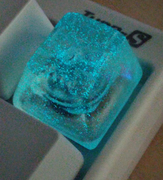 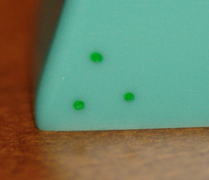 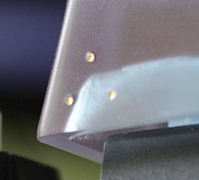 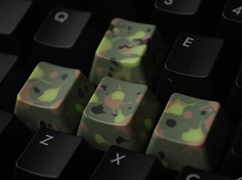 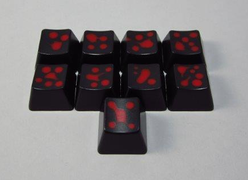 Clack uses a combination of dots and holes on various keycaps to denote what event they're from, or if they're a special version. 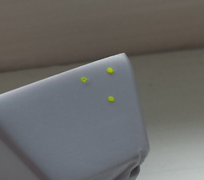 Below you can see the different markings. 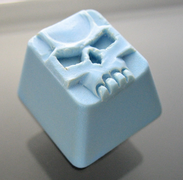 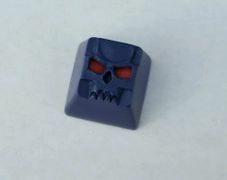 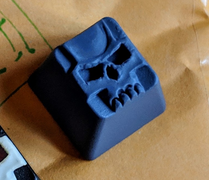 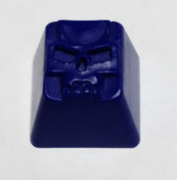 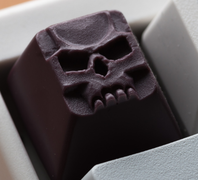 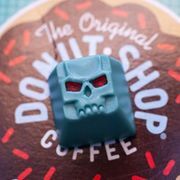 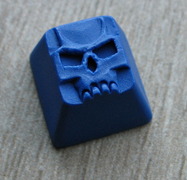 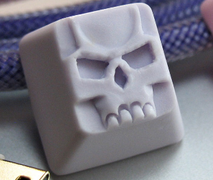 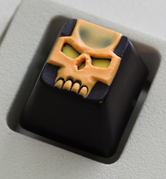 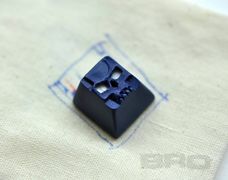 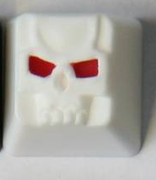 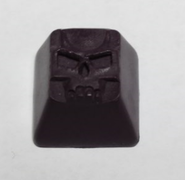 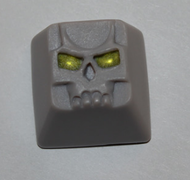 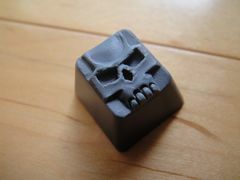 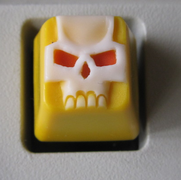 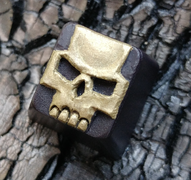 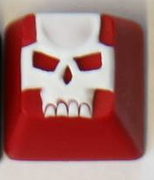 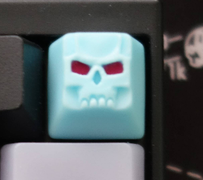 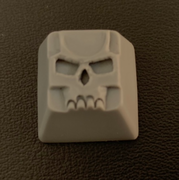 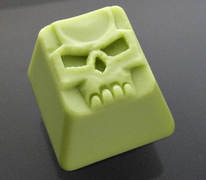 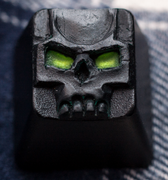 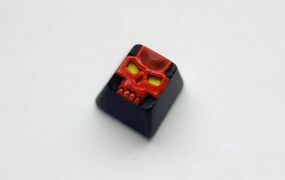 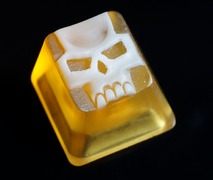 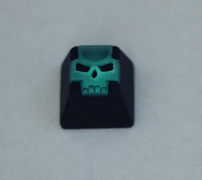 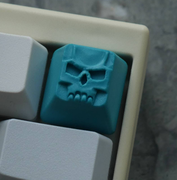 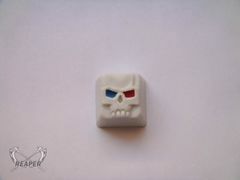 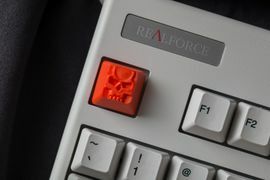 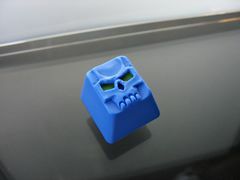 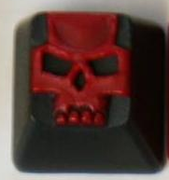 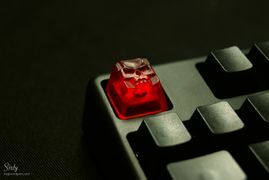 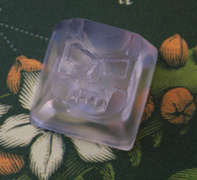 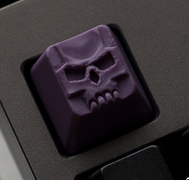 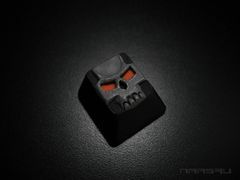 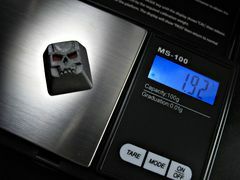 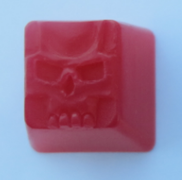 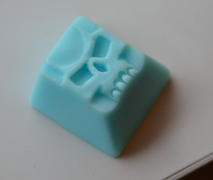 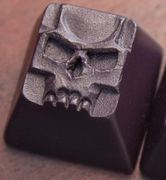 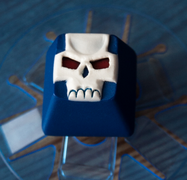 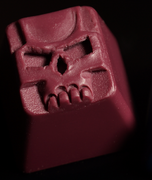 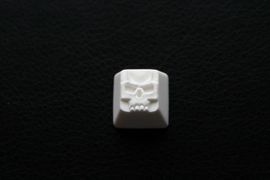 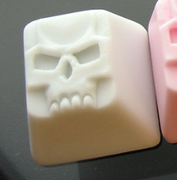 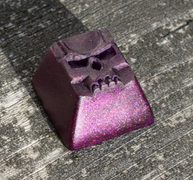 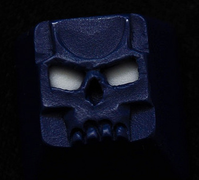 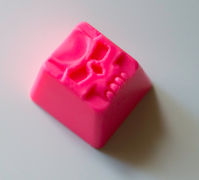 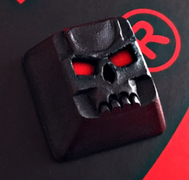 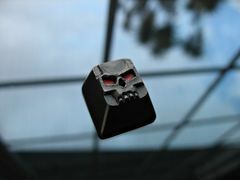 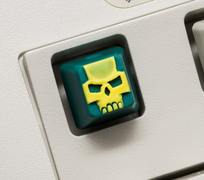 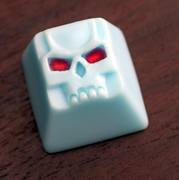 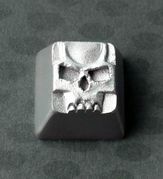 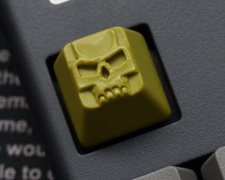 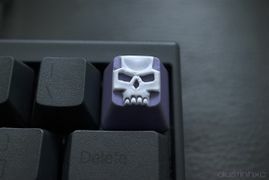 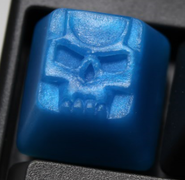 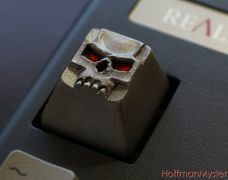 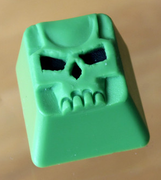 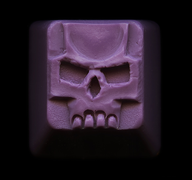 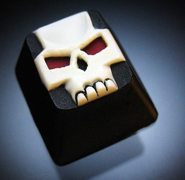 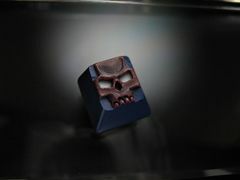 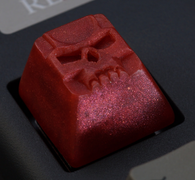 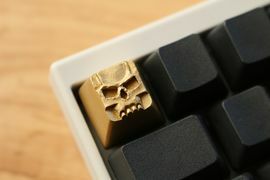 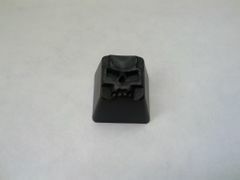 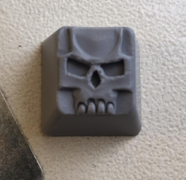 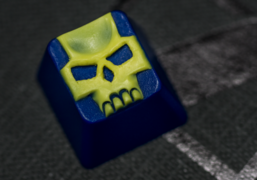 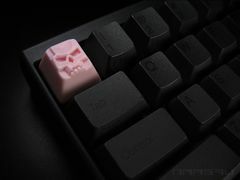 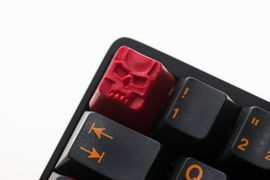 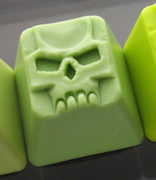 Available in MX, Topre, and Buckling Spring (and BMX), Skulls are Clack's most iconic sculpt. 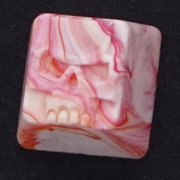 Skulls can come in Single Color, Bi-Color, or Tri-Color. 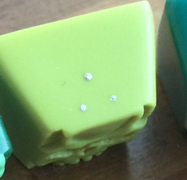 Bi-Colors come in two types: a solid color with different colored eyes (Mr. Friday, Eyeland) or have a different face color (Drunken, Enviro). 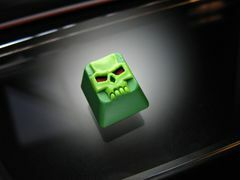 Tri-Color skulls are usually split into three colors, the body having one color, the face another, and the eyes have a third color (Salute, Miz Kite). 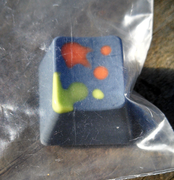 Other tri-colors have a body with layered colors (Candy Corn) or mismatched eyes (3D). 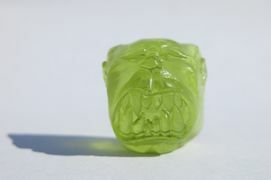 Available only in MX, Ogres were released in Oct. 2013 and have since come in a variety of colorways. 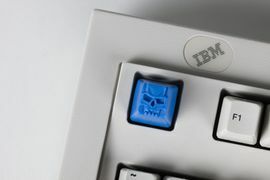 Available only in MX. 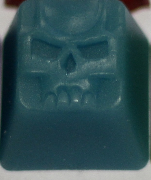 Only two different colorways have been released as seen below, both of which are highly sought after. 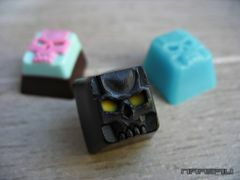 Available only in MX, the Vader is one of Clack's earlier works, of which only a few exist in the colorways below. 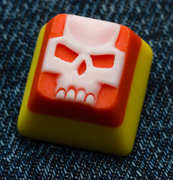 Available in MX and Topre, Splats have come in a variety of colors and layouts, including Esc, WASD, and Arrow Keys. 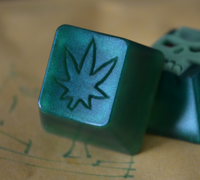 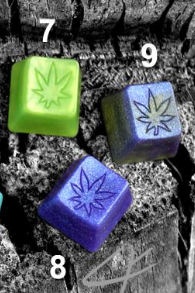 Available only in MX, 420s are Clack's ode to Cannabis. 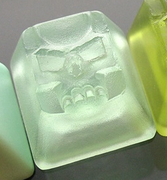 They've been released in a variety of colorways, the text below provides explanation into the various styles. 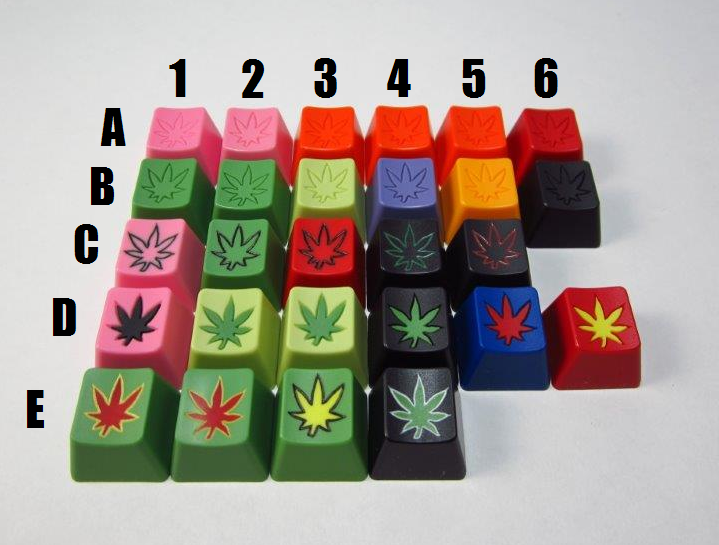 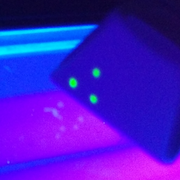 Sticky Icky Icky – The body has one color, the engraving has the same color and isn’t infilled. 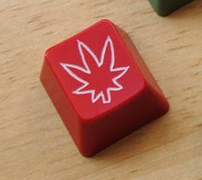 Then the leaf is another color. 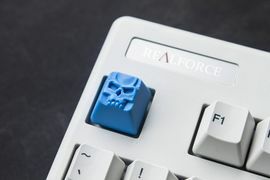 This page was last edited on 8 February 2019, at 17:47.